This high-interest, low-vocabulary novella is intended for adult basic education (ABE) and English as a Second Language (ESL) readers. Kathy Brown suddenly wakes up. Was that a noise in the house, or part of her dream? In her dream, Kathy was about to kiss Michael, her high school boyfriend. Her husband, Jack, lies beside her, snoring. Michael is exciting. Jack is boring. When Kathy hears the noise again, she gets up. Then she hears whispers. Then she feels a gun at her head. Two men are in the house. 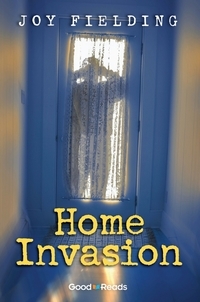 Kathy and her husband face a living nightmare. Kathy must also face her real feelings about her husband. The outcome surprises everyone, most of all Kathy herself.